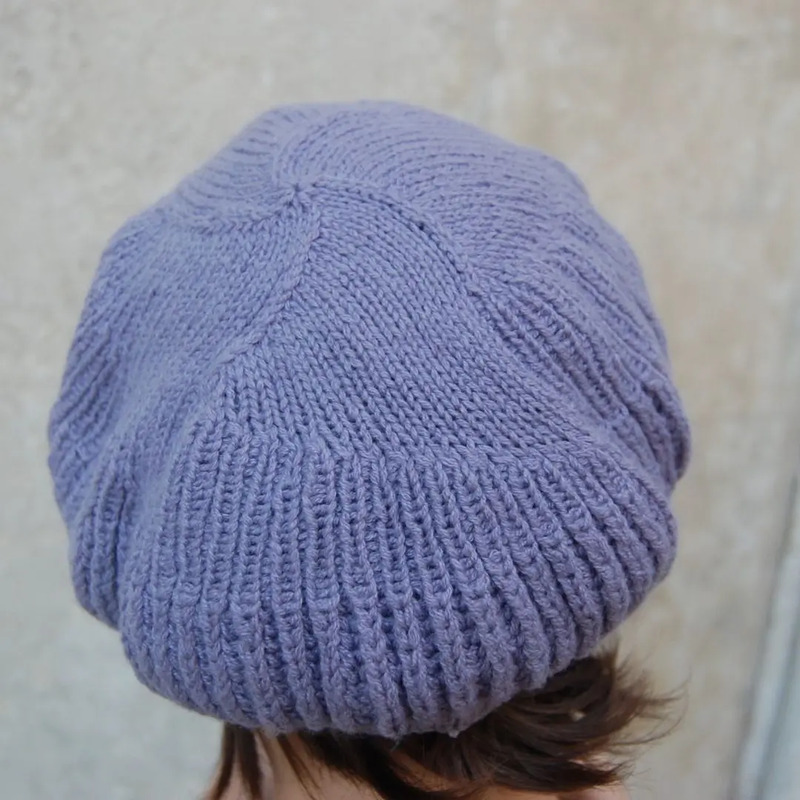 This hat is made of fine recycled cashmere. The decreases are rather ornamental, resembling a four-leaf clover. For whenever you need luck. 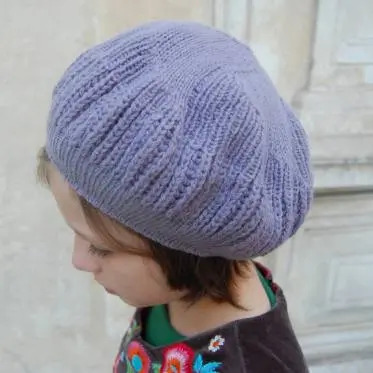 • 50g (make sure you have at least 3 balls as you will be plying single threads) of recycled lace weight cashmere from susantherecycler in your chosen colour. • Invisible elastic thread (optional). • 28 sts and 56 rows = 10cm/4” over 1 x 1 rib, using 2.25mm needles and 1 strand of yarn. • 25 sts and 38 rows = 10cm/4” over st.st, using 3.75mm needles and 2 strands of yarn. • 25 sts and 44 rows (22 long knit sts) = 10cm/4” over brioche rib, using 4.5mm needles and 3 strands of yarn. 50cm circ. at cast-on edge and 24.5cm wide across the top (in diameter, measured flat).